“Solo: a Star Wars story”. I love this movie, and he knows it. Here we go again. Mixed reviews for a Star Wars movie. After “The Last Jedi” divided audience and critics and split the galaxy in two, it’s now the time for “Solo: a Star Wars story“. Do you want to know what I think? In two three words: I liked it. For more, read below! After Rogue One, this is the the second spin-off story in the Star Wars saga (not a part of the linear storyline, but intended to explain more in depth some of its most relevant episodes or characters). And? Well, I watched it yesterday at cinema Barberini, an elegant theatre right in the centre of Rome, where the hectic-and-yet-somehow-slow paced life and the inefficient, impossibly packed public transport are still exactly as I remembered them. This is one of the contradictions that make Rome (and maybe Italy) such a fascinating place: you can have an excellent espresso in 1 minute anywhere, but then you need to wait forever for your bus to go home. And when it arrives, it’s already full. Anyway, back to the movie. The version I watched was in English, with Italian subs. And I am glad I did, the voice acting was so good. In my opinion “Solo” offers what it promises. This is all I need to say it passed the test, with flying colors. It’s fun, action-packed, exciting, an awe-inspiring ride across my most favourite fictional galaxy, with some memorable characters (others, less) and a ton of references to make fans rejoice. If you just want to read my final verdict, jump to the “In short?” paragraph at the end of the article. Or just go, watch it, and have fun. If you want to know more, since the film received mix opinions, I will now try to unpack them. True, it suffered from a troubled production history, with director Ron Howard taking the helm only after the initial duo of directors was fired for “creative differences”. This shows, sometimes: the story seems to proceed at a double speed (the second half much faster and dynamic than the first one, more based on establishing background and motivations). Qi’ra is the least developed character, and it suffers from yet another less than memorable performance by the mother of dragons Emilia Clarke. She starts as an irritating damsel in distress, and develops (somehow) into a much more badass-lady, but in my view her arc could have been treated in a much more satisfying way. 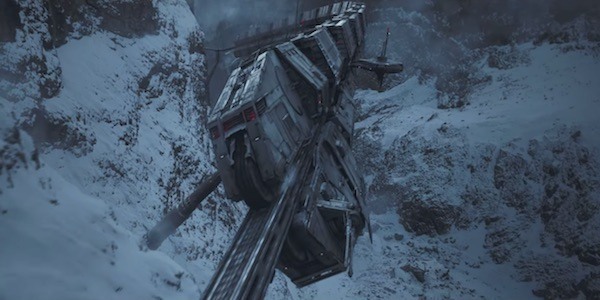 And there is – as far as I could see – one major bump in the plot (connected – again – to Qi’ra): not enough to break the narrative suspension, but a little bit of a “huh? whatever”. The good (and lots of it). It’s fun. It’s exciting. It looks good! 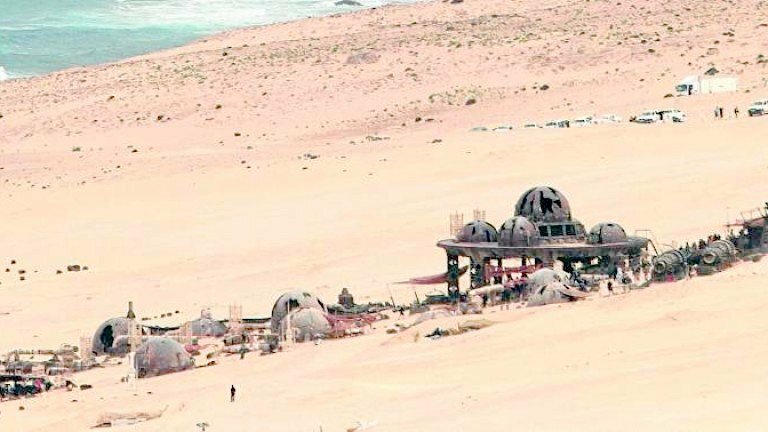 It’s the old, familiar territory that every Star Wars fan will recognize in a heartbeat, and at the same time it manages to feel fresh and new. There is always a light and humorous touch , a little over the top at times, but it fits the general theme of the story. The Han we know was mocking and irriverent, and so is the film dedicated to his younger self. The story is solid, with a clear arc and a clockwork of story functions. Lawrence and Jon Kasdan are household names for Star Wars, and once again they just nailed it. The action spreads on several new, exciting locations never seen before on screen (Corellia and Kessel to name two) and expands the universe populating it with more characters and interactions. 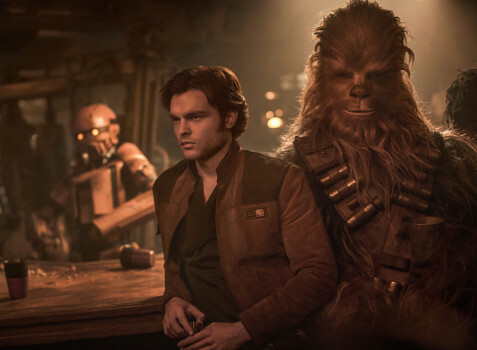 It reveals (in a mostly credible and coherent way, I think) the reasons why Han took his “Solo” name, how he met Chewbacca and Lando, how he became the captain of the Millennium Falcon and how he did the Kessel run in less than 12 parsec. Yes, we know it’s not a unit of time. Who cares. The characters are sweet. Most of them. The classic ones shine: a young, and still 190 years old, Chewbacca (restored to a prominent role after his sidekick appearance in Episode VIII) and especially the charismatic Lando Calrissian (thanks to the perfect choice of Danny Glover, probably the best performance in the film – Glover is such a fantastic and polyedric artist!). And the new characters are a nice addition to the ever growing saga, too. In particular, I like to remember Woody Harrelson’s Beckett (yes, a bit stereotyped in his role of the “gruffy, grumpy mentor, can we trust him or not? but I just love Harrelson) and L3 (Phoebe Waller-Bridge), a droid who fights for the emancipation of her mechanical brothers and sisters and is in love with her human Master, who not only delivers comic relief but brings also a welcome, fresh light on the interaction between humans and machines in the Star Wars universe. It’s also telling (but maybe not in a flattering way) that the most interesting and developed female character in the story, is a droid. The acting is generally good (with a nice surprise by Alden Ehrenreich in the titular role, and those were big shoes to fill), with a solid direction by Howard that adds flavour, pace and atmosphere. For a movie with a complicated production history, also the editing must have played a major role, and here the job is in the super solid hands of Pietro Scalia (double oscar winner, with titles such as “Gladiator”, “Black Hawk Down” and “The Martian” to his credit). Great editing is why the story just feels good. 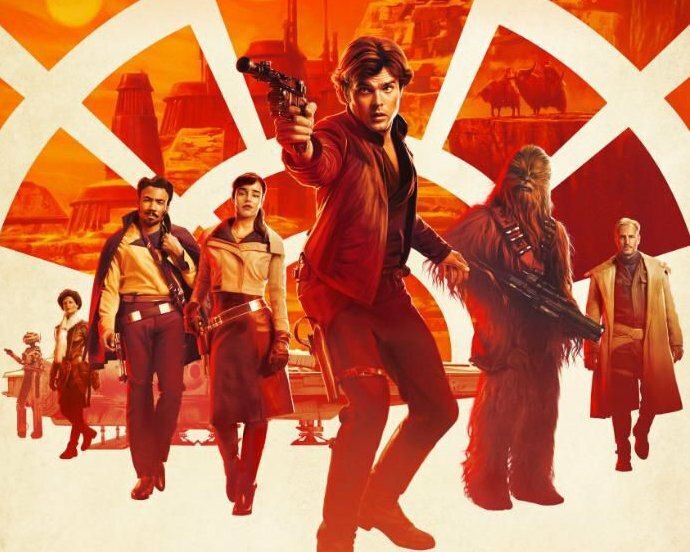 Maybe most importantly, “Solo” delivers bucket loads of excitement and sense of wonder: we get to experience how vast, terrifying and magnificent the galaxy is through the eyes of the young Han Solo, previously just a scoundrel, a street rat in a criminal-infested urban sprawl in Corellia, who wanted to fly a ship and touch the stars and now is living his dream. 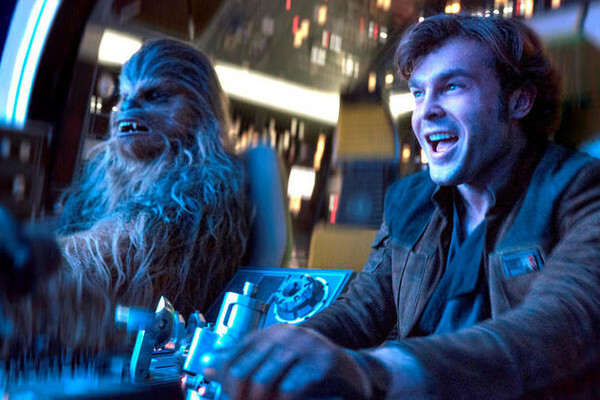 The sequence when Han – eyes and mouth wide open, a happy smile on his face – performs his first jump into hyperspace, honestly brought a superfan tear to my eye. And there I thought: “this is pure Star Wars!”. 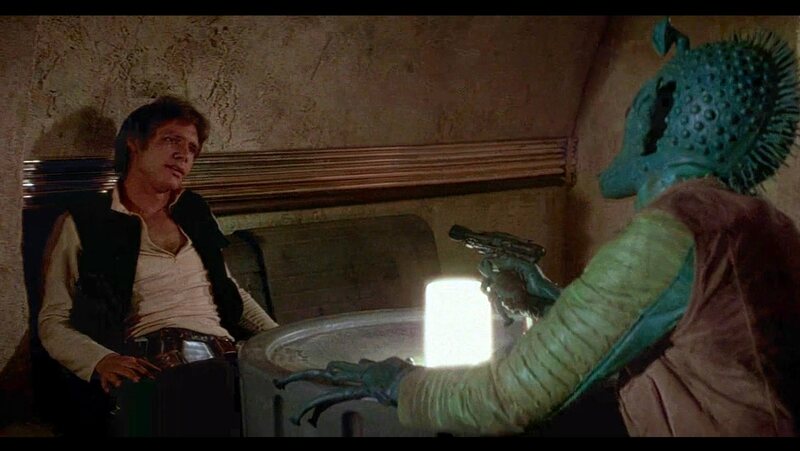 Plus… make no mistake, this Han shoots first. 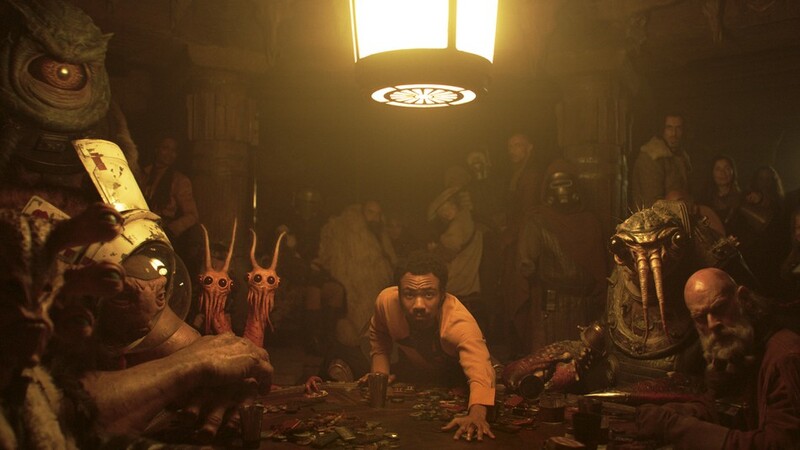 “Solo” (the film) is exactly like Solo (the character). Direct, cocky, charming, braggy, sometimes clumsy, sometimes confused, with a complicated history and even more trouble waiting just below the surface. And it delivers. This movie is honest, in that it presents a western movie in space, with all the genre classics: including epic poker games, duels, and a train heist. If you are willing to overlook a couple of production flaws, sit back and relax, this story will take you once again to that galaxy far, far away and will keep you there for a couple of hours of solid fun. Saw it yesterday, got the exact, precise feeling. One more good one, yeah!